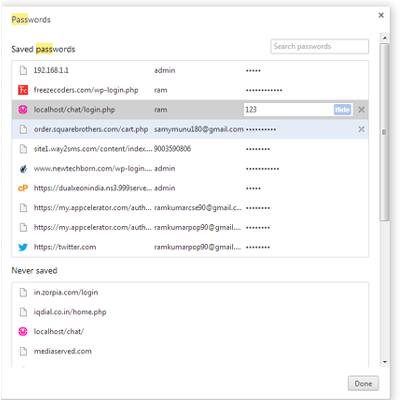 This is one new step hack trick normally most of the user can saved the login password in our browser they will not remember about the saved password. This notes help to how to show our saved password on our browser. This step trying Mozilla Firefox browser Click Firefox home icon show the below image follow the steps. 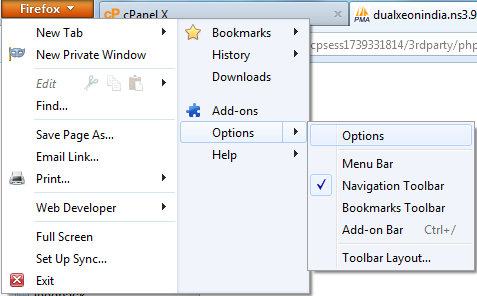 Click Firefox home icon go to option on right side option bar ex; option -----> right side option bar. Open the option box go to down saved password click after show the box saved password box select the our saved password page click show password our password the password will be showed. Go to chrome browser top bar right side end Click chrome customizes option icon go to choose setting option type the search bar in manage password shows below image follow the step. 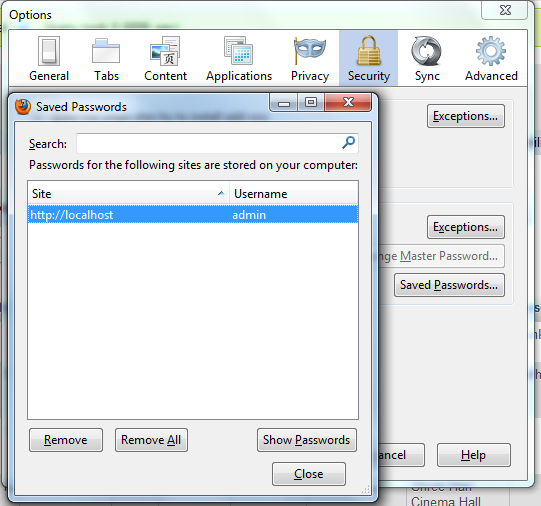 Click manage password view the saved password box select our saved password web page click and show the password.